The BBC is to remain the home of free-to-air Olympic action until and including the 2024 summer games after the public broadcaster reached a deal with Discovery Communications. Discovery had been awarded pan-European rights to the games, including exclusive UK rights for the 2022 and 2024 Winter and Summer Games. The BBC had the rights to the Olympics up to and including the 2020 Tokyo Olympics. As part of the deal, Discovery will sub-licence pay TV rights to the 2018 and 2020 Olympics from the BBC. Then the BBC will sub-licence free-to-air rights for the 2022 and 2024 Olympics. The deal means the BBC will continue to be the home of the best action from the Olympic Games on a network TV channel complemented by a second live stream and a rich offering of digital rights to the content broadcast on these two outlets – allowing for a varied and in depth on-demand offer, but cruically not quite as extensive as the recent Olympic Games, which provided coverage on numerous Red Button streams. When Discovery acquired the pan-European rights to the Olympics from the International Olympics Committee last year, it confirmed it wanted to sub-licence free-to-air rights to broadcasters across Europe, a move that would satisfy regulatory requirements to screen the Olympics on free-to-air TV services. The announcement also means Discovery's Eurosport service in the UK will continue to be able to show the Olympics - it faced a black-out for the 2018 and 2020 Games, after its previous rights deal under Eurosport's previous owner expires. Without the deal, Eurosport would have only been able to show Olympic coverage in other European countries in 2018 and 2020. 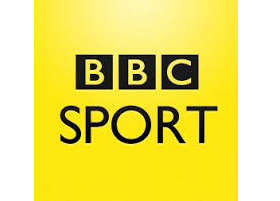 "The BBC prides itself on bringing the biggest sporting moments to the public. For many, the BBC has been their stadium for Olympic coverage. It is an event that unites the nation like no other. I'm delighted that through our new partnership with Discovery, the BBC will continue to carry the torch for great sporting coverage right through to the 2024 Games. "While the BBC has had to take some tough financial decisions, this partnership underlines our commitment to making world-class sport available to all." “Discovery is a passionate and committed partner of the Olympic Movement. Today’s agreement is a win for UK sports fans and marks an exciting new chapter in Discovery and the BBC’s partnership on major sporting events. For 30 years, our two organisations have chartered new frontiers with co-production partnerships in factual and natural history programming. Now we join together once again to bring the most compelling stories of human ambition, sacrifice and achievement to people across the UK." In order to secure a long term future for the Olympics on the BBC, viewers will see less free-to-air coverage from the 2018 Winter Olympics onward as a result of Discovery sub-licensing pay TV rights and then from 2022, the BBC sub-licensing free-to-air rights and BBC Sport's Barbara Slater has today warned sports fans it won't be able to cover the Games as extensively as before due to the cuts. However, 200 hours of free-to-air coverage is guaranteed thanks to the Olympic's status on the list of protected sporting events on TV. However, the 2018/2020 sub-licensing deal with Discovery will provide the BBC with needed income in the current cost-cutting environment. Good deal all round really. BBC and FTA TV gets coverage and the BBC can make savings and even make some money back. Poor deal in all respects. It is a protected event and just as every match of the World Cup free to air there should be no restrictions on what Olympic coverage can be free to air - and two streams just doesn't cut it for the summer games at least, as any Freeview viewer will tell you. The BBC should have aimed for at least four, though ideally 6-8, which would still leave plenty of action exclusive to Eurosport. The figures just don't add up either - BBC reportedly getting such limited rights for 2022/24 in return for giving Eurosport 2018/20 pay-TV rights and paying over £100m. They should have stood firm and only agreed to lease 2018/20 to Eurosport in return for unrestricted rights to 2022/24. The money exchanged also highlights how poor a decision it was for the IOC to do a deal behind closed doors - Eurosport paid £920m for the 2018-2024 rights in most European countries. If the BBC were willing to pay £110m for such restricted rights from 2022-24 it doesn't take a genious to see that had the bidding been opened up to PSBs then the IOC would have made much more money.